Perhaps you’ve covered this already and I’ve missed it but I wondered if you could expand on what you do on the mental side of things while you compete? This is the toughest question I have been asked, since I still struggle with it and one of my training goals for this year is to work on my mental game. Archery is a lot like golf, you are not competing with anyone but yourself. So a good mental game is vital since it is slow paced and you have a lot of time to assess your shot, your environment and perhaps over analyse things. This means to perform your best, you need to have your thoughts under control. Boy: Do not try and bend the spoon. That’s impossible. Instead only try to realize the truth. Basically, whether or not there is a spoon is irrelevant, what matters is the belief. 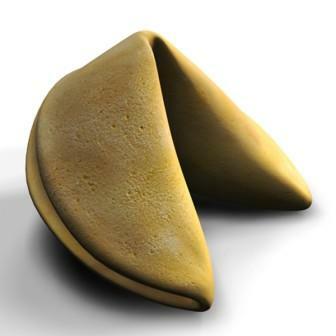 Any negative thoughts you tell yourself, can become a self-fulfilling prophecy. How well you play the mental game is going to have a significant effect on how well you score on a given day. I remember the world indoor championships like it was yesterday. At the start, I was enjoying everything and shooting well. Then came the introductions, they were announcing former world champions, Olympians, and current champions. Then out of the blue, they introduced Jordan Sequillion as one of the representatives from Canada. At just 17, I was one of the youngest athletes there but the pride of my entire country filled me giving me the chills, goose-bumps and made me extremely nervous. I remember trying to focus on shooting, I wanted to make every shot perfect, and I needed to shoot the best I ever had. My country was counting on me! I was so nervous that I was shaking; not the best for archery.At the end of the competition, after being eliminated, I just broke down and started crying. I felt as if I let the entire country down. Coaches from other countries came over to comfort me, they had witnessed my shooting in the warm-ups. They simply said, you belong here you just need to work on keeping your emotions in check. That helped comfort me a lot, it really helped me for the team rounds too. Afterwards, my parents ask me the question, “Why do you shoot?” Seems like an easy question to answer. I shoot because I love it. So then they asked the question. “So what changes between shooting in warm-ups and in competition?” Hmmmm….makes you wonder. They insisted that only my perspective changed, not the target. If archer shoots just for fun he has all his skill. If he shoots for score his hands tremble and his breath is uneasy. If he shoots for a golden price he becomes mad and blind. His skill was not lessened, but the vision of the target changed him. I am working on it, shooting because I want to shoot, not because I need a higher score than before. Not focusing on any past mistakes and not worrying about where I am; just remembering that I love the sport. I shoot one arrow at a time and if I am the best that day I will win and if I do not win there will be many more opportunities in the years to come, because I love to shoot. I do not know if this answered your question or not, however I did the best I could. What kind of rest would you recommend for a beginner recurve shooter? I’m a COMPLETE newbie to archery, so I blindly went with the archery shop guy’s recommendations when buying my first bow. I ended up buying a Samick Polaris that he set up with a rug rest. Is this a bad kind of rest to use? Wouldn’t the two non-index fletches hit the bow on the way out? My arrows tend to hit the target at an angle instead of perpendicular, so I wonder if the rest could be causing it. First lets cover the various types, most people say there are four basic types of arrows however I believe there are five; shoot-thru, containment, drop-away, pressure/plunger rests and the additional shelf. The shelf is often overlooked because it is part of the bow, however you do “rest” the arrow on it. Here is a general overview of each type. Shoot-thru (or prong) rest : A two-pronged arrow rest with a gap between and spaced about two-thirds of the width of the arrow to create a cradle. The arrow sits on top of the prongs with one fletching pointing down between them and is usually spring-loaded to allow additional clearance for the fletchings. These rests can be tricky for beginners because the arrow can fall off with wind or bad form. 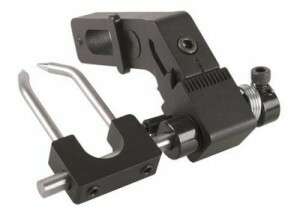 They are best for hunting and the use of a mechanical release. Containment rest : A totally encircled or a simultaneous 3-point contact arrow rest holding the arrow completely in place until release. 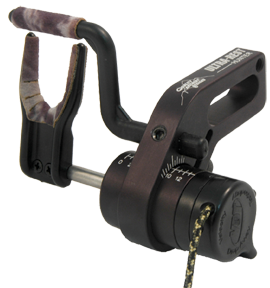 These are the most common choice for archery hunting, they are relatively easy to install and tune. Great for beginner hunters since the arrow will not fall off the rest. Drop-away (or fall-away) rest : Designed to drop out of the way upon release and therefore eliminate any chance of contact with the arrow. Activated by the release of the string, the rest holds the arrow long enough to keep straight and needs to drop out of the way before the fletching reaches the rest. 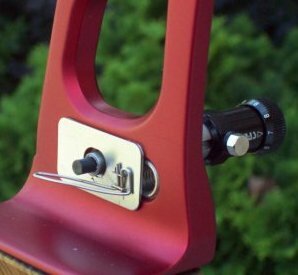 Since this can be very tricky to tune; it is best suited for a compound bow. It is popular for hunting with large fixed-blade broad heads and helical fletchings. Pressure/Plunger rest: Used commonly by finger shooters (no-mechanical release), they are designed to counter-act the horizontal oscillation from release with your fingers. Standard type bows without a cut-away, typically use a simple flipper rest (a rest with an additional “flipper” that acts like a plunger to help push-back against the pressure). Bows designed with a cut-away for your center shot typically use a rest along with an adjustable plunger. 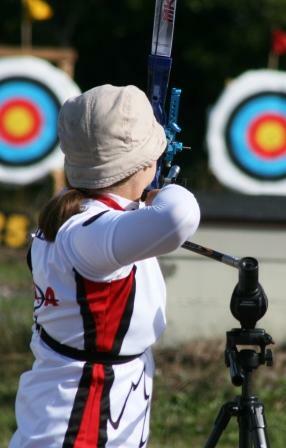 A pressure rest is used on Olympic bows and can be used be any finger shooter. Shelf: Most traditional longbows and modern recurves bows are now designed with a cut-away area in the riser which includes a shelf area. 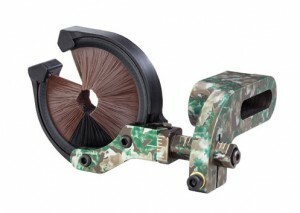 For this type of bow instead of a pressure rest you can choose to shoot off the shelf. 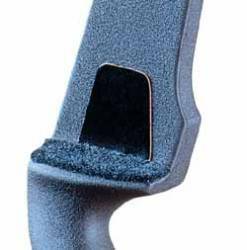 An arrow rest is attached to the shelf of your bow and is usually installed with an arrow plate to the side. They serve as protection for the bow and arrow and act as a soft, smooth surface for the arrow to be shot from. There are a ton of rests available on the market and most bow manufacturers follow the same AMO (Archery Manufacturers Organization) standards. Therefore the drilling and tapping for the majority of bows are universal however before you purchase or upgrade make sure a selected rest will work and function with your bow. A rug rest is a type of rest for a shelf and could be a very good selection for your shooting style if you are shooting traditional however it would not be the best selection for an Olympic archer or a compound hunter. I am not in a position to recommend the best rest for your bow, since the bow is only as good as the alignment between the rest, release and nocking point. Obliviously, a better quality rest for your style of shooting can impact your accuracy. To specifically address… My arrows tend to hit the target at an angle instead of perpendicular, so I wonder if the rest could be causing it. A rest is only one small piece of the bow, and has very little to do with controlling the oscillation of the arrow. I would personally need to watch you shoot and inspect your bow to provide any valued and specific advice. There are a ton of things that can cause your arrow to impact the target on an angle. The bow may need tuning, you may be plucking the string, the arrows may be too stiff or too flexible, and a lot of other things. For more information on good form check out my website page The 10 Basic Steps of Archery and to understand controlling arrow movement such as oscillation, check-out the complete Arrow – The series. Jordan Sequillion – My Quest for Archery Gold has been a great opportunity for me to share my knowledge and experiences as I grow in the sport of archery. I have discussed a lot of topics including equipment, how to’s, tips, tournaments, events, etc… however I would love to hear more from my readers. Are there any topics you would like me to cover? Although, I will continue to write articles about my experiences, I want to make sure I am engaging my readers and meeting your needs as archers. Everyone has questions, I would love to hear yours and I love answering them. I also encourage you to leave comments or share additional information on any article on my site. The primary goal of this blog is to share information about archery. It is a huge honour that I won the best new sports blog for September 2012. However, I just found out that I have also have been nominated for Best Sports Blog of the Year for 2012 by the Canadian Blog Awards. If you enjoy my blog please visit the voting site and cast your vote for me. Also I would appreciate you telling your friends. Voting closes on November 1st. It is an honour to share my experiences with everyone and I hope to continue to write from many years to come to help grow archery throughout the world. This past weekend, Algoma Rod and Gun Club in the Sault Ste Marie hosted the Ontario Provincial Target Championships. Sault Ste Marie is situated in Northern Ontario on the eastern point of Lake Superior and 12 hours away from Kingston. Wow, what a long drive for my family, and to give some perspective, in Europe you could travel from Rome, Italy to Frankfurt Germany in the same amount of time. Although it was a long drive 85 of the top archers from around the province travelled to compete in the two-day tournament with a FITA 1440 on day one and a FITA 720 on the second day. Upon return from the National Championships in British Columbia, I finally received my amazing new bow from Cartel Doosung. With only two weeks of practice, typically you wouldn’t change anything however this bow is perfectly suited for me; possibly the best bow I have ever shot. Since this is really the last competitive tournament of the outdoor season, I decided to use it. In my opinion, it was a very good decision. The winds were extremely tricky; flags on targets beside each were other pointing in opposite directions. Every one was having troubles with them. For only two-weeks practice I feel I shot extremely well, perhaps the best I have shot all season, and was able to capture the Bronze medal. I know this will translate into success in the upcoming indoor season and next year’s outdoor season. This tournament was also a complete family event as all my siblings participated. My sister Sydney competed in the female cadet recurve division finishing fourth. Joshua competed in the Male Cub Recurve division finishing second, even though he could not complete the tournament because of a shoulder injury. Last and not least, my youngest brother Cole competed in the Male Pre-cub Recurve Division also capturing silver. It was a great successful tournament and a great family trip since we camped at the KOA campgrounds. I am already looking forward to next year’s family tournament trip. Before I was in archery, before I competed internationally in robotics, I was a Girl Guide. Girl Guides is a parallel movement to Boy Scout for girls in 1909, Robert Baden-Powell, the founder of Scouting decided that girls should not be part of Scouts. Therefore, in 1910 Robert’s wife Agnes started the Girls Guides, named after a famous frontier regiment in the British Indian Army, the Corps of Guides. Guiding makes a positive difference in the life of every girl and woman who experiences Guiding so she can contribute responsibly to her communities. share in the sisterhood of Guiding. My introduction to Girl Guides at a young age has helped develop me into the person I am today. I started as a Spark, continued through Brownies, until I graduated from Guides at which point I had collected two full badge scarves and the coveted Lady Baden Powell award. This past weekend, I was invited to a Girl Guide camp to introduce archery to a group of Girl Guides. It was a real trip down memory lane and it was a lot of fun to see young girls enjoying the same experience that I did when I was young. I remember the Saturday afternoon events at camp were always my highlight of the weekend. This time, it was my turn to make it the best part of the whole day and teach this new group of guides how to shoot a bow and arrow. Everyone loved it, so much so I actually had a little 9 year old girl come up to me and hug me telling me how much she loved it. To witness someone enjoy the sport and love it as much as you is the best part of being a coach. Being a part of the start of a new dream in another person’s life is so rewarding, and gives you the unwavering desire to do it over and over again. Without people willing to help develop new dreams in kids, there may not be as many adults with successful dreams.